I'm just setting up a new site and have X installed of course. I'm using Renew stack and inline navigation. I've modified the settings a little to get the logo and nav bar level but the main content is now too high. How can I fix this? Can you please clarify which content you are talking about? The header content depends on the logo height. You can increase or decrease the logo height as per your requirement. Regarding the body content, you can always control it through cornerstone. 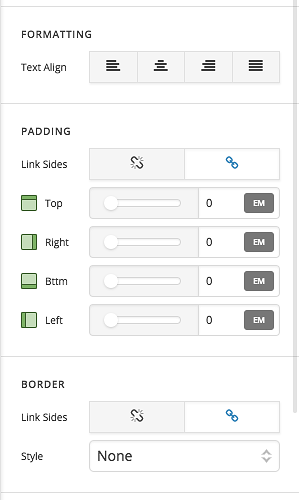 If you edit the page in cornerstone and select any section you will find the setting to manage spacing and height. You can check the knowledgebase for more help! I've modified the logo height (width actually) and it's as I want it. But it seems to overlap the main content below. In the top section, there is actually an image before the purple wording. You can see it if you resize the browser window. It just seems to be desktop view where it overlaps. Are you referring to the below section? I can see the image above purple wording. Also I see that you're one version behind X theme. Please update your X theme and clear your cache as well. You can check the version numbers from here (https://theme.co/apex/forum/t/troubleshooting-version-compatibility/195). I've updated X etc. and it's still not working for me. I cannot see the image. Also, it's clear on this page (where I haven't added content yet) that the header is overlapping content. 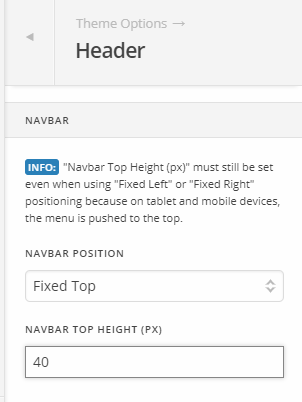 Please go to Theme Options > Header and check if Navbar Top Height is set to 40. Try changing it to 130 or higher. If that doesn't help, please give us WP admin access in a secure note. Ah! That did it. Thanks.